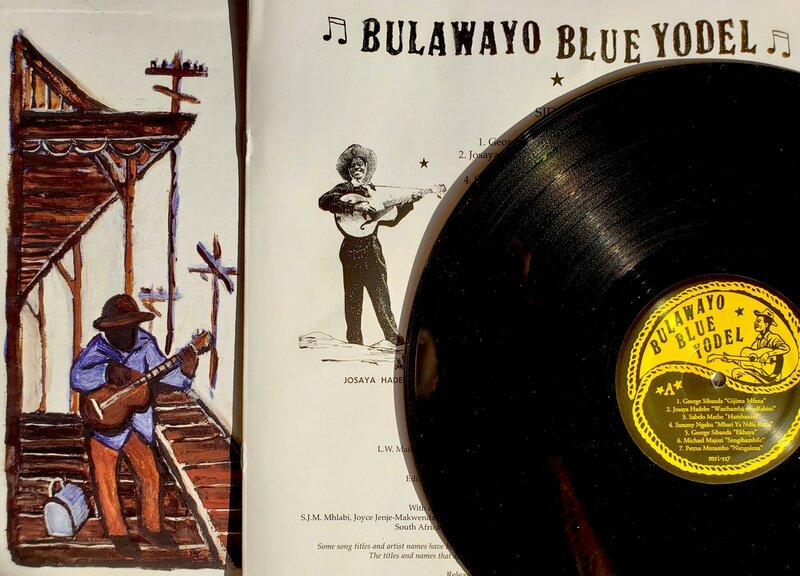 High lonesome sounds from 1950s Zimbabwe, Kenya, and South Africa: Gorgeous "omasiganda" fingerpicking, yodeling, raw slide guitar, and haunting travel ballads. A stunning fusion of neo-traditional African melodies and early American country-western music. 14 lost classics by George Sibanda, Josaya Hadebe, Sabelo Mathe, Sammy Ngaku, and more, all reissued for the first time from original 78rpm discs. LP version includes extensive liner notes with deep research and full lyrics, packaged in old school tip-on covers. Digital version includes liner notes in PDF format. Audio restoration and transfers by Michael Kieffer. Co-released with Mississippi Records.